​Chelsea winger Callum Hudson-Odoi has earned himself his first England call-up for Euro 2020 qualifiers against the Czech Republic and Montenegro, as four players have pulled out of Gareth Southgate's squad. The 18-year-old will be involved with the senior set-up for the first time, coming as another development in an impressive breakthrough season under Maurizio Sarri. It comes after ​Chelsea team-mate Ruben Loftus-Cheek was ​forced to pull out alongside Manchester City John Stones and Fabian Delph, with Luke Shaw completing a quadrangle of departures from the squad earlier on Monday. The story was first reported by ​The Guardian, who highlight his initial inclusion in Aidy Boothroyd's under-21 squad, and the quick turnaround that has led to him linking up with the senior side for the upcoming international break. He is incidentally yet to debut for the under-21s, but looked set to do so against Poland and Germany at some stage over the next couple of weeks, until Southgate came calling with a golden opportunity. He joins ​Southampton's James Ward-Prowse in providing cover for those pulling out, and more last-minute call-ups could be on their way over the next few days. 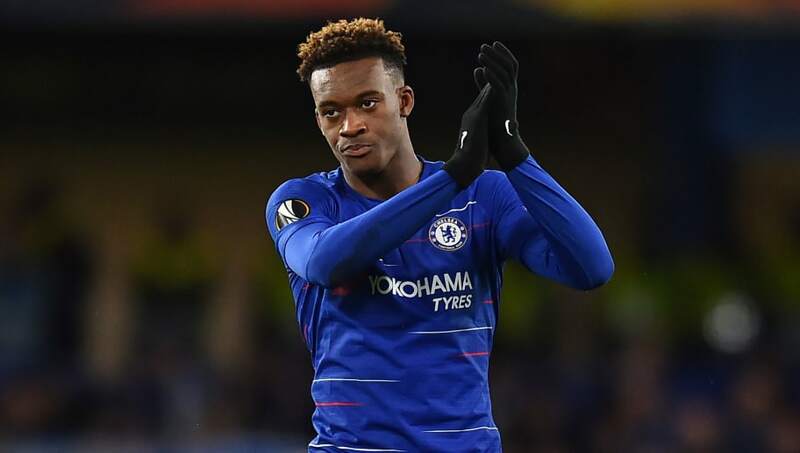 Although Hudson-Odoi is yet to start a ​Premier League game this season, he has seen his status in the footballing world rise dramatically over the last year, and was subject to a £40m bid from Bayern Munich in January, which was categorically rejected by ​the Blues. A prospective international debut is likely to do little to quell his meteoric emergence on the scene.